This company got a new CEO in September, and they just announced better than expected earnings. They pay a 3.8% dividend and have nine years of consecutive dividend increases. The stock has been coming off a low on very high volume. This weekly chart shows the stock has risen since late last year, now up to the 50-week moving average and support from last summer. 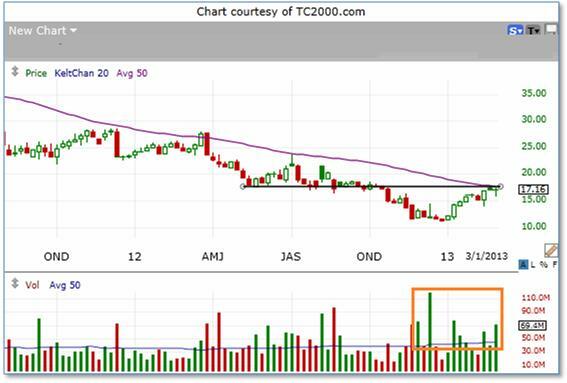 On Balance Volume and the Up/Down Volume Ratio show strong accumulation. 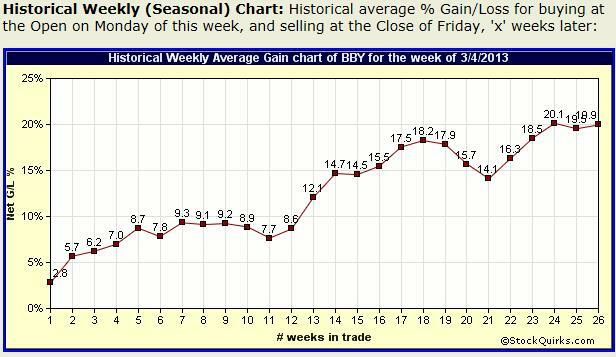 Zooming down to the daily chart shows almost no selling on down-close days, from mid-December through mid-February. The stock? Best Buy. Apparently not every investor thinks the same way. The former CEO was trying to buy the company. There's an awful lot of money that went into the stock in the past two months. I have a hard time believing they can't make it. You can buy a flat-screen TV in many places, like Wal-Mart. But retail stores selling the broader electronic devices are quickly disappearing. Personal computers for instance. CompUSA has disappeared. Many of those little hole-in-the-wall computer stores have closed. Circuit City is gone. Wal-Mart and Staples are selling only basic commodity PC's and laptops. Best Buy is the only one left, as far as local retailers, that sell any decent array of PC's and parts. I've heard mixed stories about Best Buy's service, but at least they have in-store service. If you are a small business person, and the computer you depend on for everything suddenly dies, and you go to Wal-Mart and buy a desktop, but after getting it back to work you find something doesn't seem to be working right, what are your options? At least with Best Buy you can take it in to the ‘Geek Squad'. A lot of business people aren't comfortable with purchasing items like PC's and laptops via the internet. I just upgraded to a new computer (I wear them out quickly). I had it custom built at one of the few remaining computer stores, but when I wanted cables and a backup hard drive on the weekend, Best Buy was the only option that solved my needs. Why can't this company make it? As I pointed out, there are investors who believe it can. Is this a good time to buy the stock? It certainly won't fall into the category of a high probability trade. A prudent investor would wait until the company starts proving itself, and that may take years. A short-term trader though looks at life a little differently. And a short-term trader who wears out computers regularly doing seasonal analysis discovers an good track record in BBY stock this time of year. You're not interested in running with this dog? 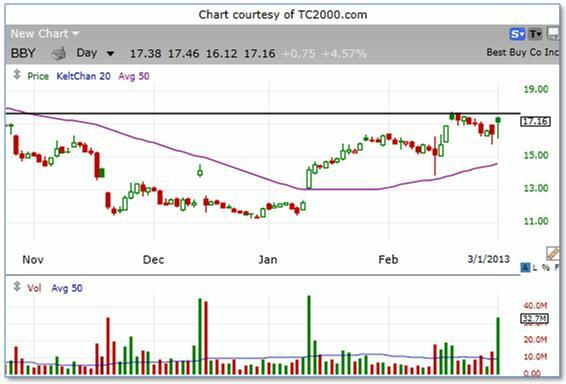 Have I mentioned Avon Products (AVP), another stock that has been residing in the doghouse, but some traders are viewing as a potential purebred? Perhaps they learned that AVP has a track record of rising an average 9.3% over the next 9 weeks, with gains in 24 out of the past 29 years, and of those 24 years, only 5 years were less than 5.5%.